All the Tools needed for Seo Optimization in One Package. All submissions only to SEO Friendly Free Listings sites. 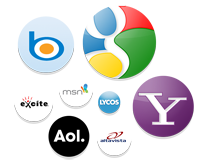 Submit and get indexed in major search engines like Google, Bing, Yahoo, Baidu, Yandex and 100 more. Submit to 800 SEO friendly directories and get backlinks for your website with no paid or reciprocal links. Submit to 115 blog directories & muster valuable inbound links that you can build for your blog & your business. Listing your business in the local listings - potential to attract new customers via Local Search is enormous. List your business and improve your rankings and get traffic and improve your search engine rankings. When you submit your site to directories belonging to your niche, you will be able to attract more targeted traffic. 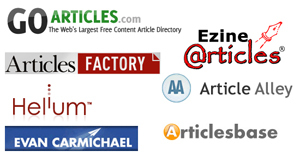 Submit to 25 article directories with relevant anchor text in the article linking back to their site to obtain backlinks. It submits your website/blog to 2,500+ different websites which are manly "who is", "about us", "website statistic", etc. Social bookmarking can help you promote your site's content by giving you backlinks & by sending you traffic. RSS directories are similar to web directories - you get a free, one-way link back to your site when you are listed. Press releases are a great way to generate incoming links. Submit to 25 free press release sites. Pinging Submitter is a tool that boosts link building efforts by creating and submitting ping feeds. Posting on sites with education suffix .edu, can provide valuable links to your website that improve search ranking. Getting backlinks from authority websites is one of the most important aspects of promoting your website. Search engines index forums so posting in forums and blogs is also a way to get quality backlinks. If your business is targeted to specific country or region, our regional Directory Submission helps you achieve that goal. Using Classified Ad Sites, you can reach a lot of different places in the United States and the entire world. Listing your products with shopping-oriented search engines can be a great way to attract new customers. The trackback script can be used to send trackback pings to any blog that accepts Trackbacks. 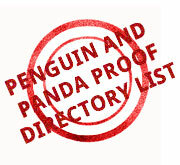 Submits to 800 Software Directory Sites if you have a software website. Increase Backlinks & Web Traffic to your site. Place your free backlinks on authoritative news sites, which improves your site's profile in a very good way. Document sharing sites has become a networking site that a publisher can use to create backlinks/directing back traffic. Everyone in SEO knows about infographics, so take advantage of this incredibly easy link building strategy. 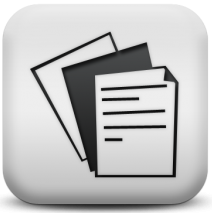 Another under-utilized method of developing backlinks is by submitting pdf or ppt documents. Create & submit awesome viral content to social news sites and you may get massive stream of traffic to your site. Submit your site to a number of high authority Blog aggregators to get a dofollow link. Get feedback on your site's layout or conversion potential and get a dofollow link back to your site. SEOs never use audio sharing sites which is crazy because they're ridiculously easy to get backlinks from. Upload some videos to video sharing sites because they generate traffic back to your site. Practically you generate a page for your website with some stats and usually a back link to your site. Get dofollow backlinks from high authority domain's profile page and add a backlink to your website. Create micro site and embed a few keyword specific backlinks to your primary website in the content. You can get backlinks from question and answer sites to your website whenever you ask or answer a question. If you have a decent looking website or logo, you can get high PR followed links from design galleries. You can still land some high quality, followed backlinks from artist portfolio sites. Register on these high PR Web 2.0 sites at which you can create a blog to get do-follow links to your main website. Submit to Podcast Directories For Promoting Your Content And Getting backlinks. Image directories are gold mines of authoritative backlinks as these sites allow do follow links. You can get backlinks if you do have a 1-800 number. Submit your 1-800 number and your URL to the directory. Our service is simple to use and benefits a wide range of web users from professional developers to anyone interested in growing traffic and revenue to their site. Build Backlinks = Get More Traffic + Generate More Sales! Backlinks are the most fundamental building blocks of the Internet. Having links pointing back to your site is what makes your site visible. Links are your site's lifeline Oxygen tanks, the primary route by which users will find and visit your site. Without traffic, there is no way of monetizing your site. Search Engines like Google, Bing, Yahoo and others use links to find and index your site, and will determine its popularity by the number of links to it. Increasing the number of backlinks is by far the most important, productive and time consuming marketing activity. Baclink submission is the best search engine optimization strategy. It is a combination of software and tools that helps you to build quality free backlinks from SEO friendly search engines, authoritative websites, directories, blogs, articles, social media sites, and so on to your website. Backlink Submitter has scrubbed the web to assemble the best of the best - quality, authority websites in all the niches so as to make it easy for you to build links. Google's optimization algorithm is based on the premise that the more people that link to your website, the more valuable it must be and the higher ranking it deserves in search results. Popularity is a pretty good indicator of a website's value. A link from another site pointing to yours is a meaningful vote of confidence & getting search engine traffic. Small businesses cannot afford to spend a great deal of money for online marketing, but using search engine optimization marketing techniques will help lower the cost and support the launch of your local business online successfully. Backlinking, Local listings and SEO have always been important for small business online marketing efforts, but now they are even more essential with more competition on the internet. Link building is one of the most time-consuming processes when it comes to SEO. We all know that building links is one of the most important factors in getting top placements on the major search engines. The solution is... Backlink Submitter. It was developed with website owners / internet marketers in mind, because like yourself we are also internet marketers and website owners and we use the same tools to promote and increase our websites Backlinks, Link Popularity, Search Engine Ranking and Google Page Rank. 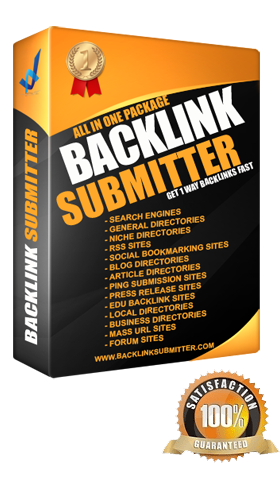 By using Backlink Submitter you will be able to find hundreds of relative backlinks for any website niche you can think of. There are hundreds of directories that exist and most will want you to pay to submit. The best start you can have is to submit to the FREE Blog Directories listed in our software. Submitting your website to search engines and Internet directories can be a time consuming task. That's why Backlink Submitter offers an easy-to-use software. But what is a Backlink and why are they so important for my website? In simple terms, A backlink is any link pointing to a particular page of a website. Backlinks are also known as incoming links, inbound links, inlinks, and inward links. The number of backlinks is an indication of the popularity or importance of that website or page and a major contributing factor in the algorithm when determining placement of your website in the search engines. Why should I use Backlink Submitter to increase my backlinks? Webmasters NOT using Backlink Submitter spend countless hours each and every month manually looking in search engines for similar to their own to exchange links with. Why must you submit to Search Engines? One stop Site Search Submission. 85% of all web traffic comes from search engines. Save time by submitting your site to all the top search engines and let people know you exist. Submitting your site to the major search engines such as Google, Yahoo!, Bing and others will then allow your site to be crawl, index it, rate it and display it in their listings faster. To get access to larger audience, you may submit your site to the most popular search engines and have them list your site in their search results for free. It is very important to get listed among the first free results. They have better exposure than the sponsored links and generate much more traffic/visitors to your website. Why must you submit to Web Directories? A web directory or link directory specializes in linking to other web sites and categorizing those links. A web directory is not a search engine and does not display lists of web pages based on keywords; instead, it lists web sites by category and subcategory. 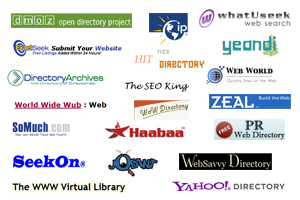 Most web directory entries are also not found by web crawlers but by humans. 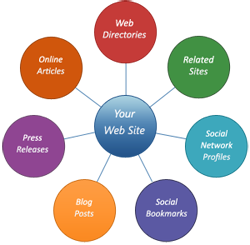 Web directories often allow site owners to submit their site for inclusion, and have editors review submissions for listing. Why must you submit to RSS Feed directories? RSS Feed directories are similar to web directories, but contain collections of RSS feeds, instead of links to web sites. RSS feeds provide a variety of opportunities for increasing traffic to your website. It is great for link building. RSS feed delivers all of your frequently updated content, not just for your latest blog posts. You can submit your RSS feed URL to those directories. This will help you to get your new updates spread faster and indexed quickly. Also, you will be on top in SERP for some moment due to Query Freshness too. Why must you submit to Blog directories? Submitting your blog to directories is an important thing to do to get yourself noticed online. If you have great content, let people know about it! There are plenty of excellent blog directories that allow free submission. Submit your blog to make sure readers can find you. In order to gain more exposure and increase your targeted traffic, Backlinksubmitter created a list with blog directories where you can submit freely your blog. Why must you submit to Social Bookmarking Websites? Social Bookmarking Websites are an extremely important resource for boosting traffic to your website and building your business. 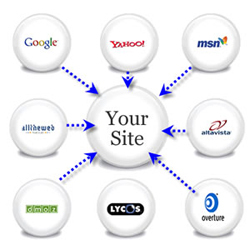 These sites allow for posts and links to your site to be seen by a large number of people on a daily basis. The also make it easy for visitors to share your link and information about your site for others to see. As more and more people read your bookmarked blog post/ web article and vote for it, the more popular it becomes & the traffic to your site increases. Submitting to Social Bookmarking Sites puts your blog/website out there in front of millions of people, increasing your visibility ten notches and getting you more branding. Why must you submit a Press Release? With each new press release, as more consumers begin to receive new information about your company, the more they become confident in the services you offer. Effective press releases can turn leads into clients. As you're getting credible backlinks with a higher distribution rate, each press release you submit betters your chances of ranking better on search engines. Why must you Ping your Website? By Pinging, notify the world that your blog, website, RSS feed, or podcast has recently been updated or created! It takes less than a minute to use PINGING and saves you countless hours of time in the process! Why must you submit to Local Business Listings? Local Business Listing ensure that your product reaches your target demographic when they need it most. Local business listings, if used properly, can literally help your firm's product and/or service be the top search result when specific keywords are used that relate to your product or service and location. You can see local business listing result's if you search for a term that includes a specific location, such as a city or state. You can build a link from your website homepage, articles, blogs, online forums, your videos, or press releases through local business listing. It can increase link popularity and improve the online maps rankings. Why must you submit to Business Directories? Submit your Business! Get listed to enhance your online visibility, reach new customers, and generate targeted traffic and leads to your site. Business directory submission will also help you get one way links for your website. Choosing the finest online business directories will help you be found with other reputed brands and companies. Why must you submit to Niche Directories? Niche directory submission is nothing but choosing directory submission websites from the relevant niches. For example if you are running a travel website, you should submit to directory submission websites that list travel related services. Niche directory submission has several benefits. Moreover, niche specific directory listings have more chances of getting listed in the search results than listings in general directories because of the keyword density and related factors. Why must you submit to Edu sites? If you have some experience in Search Engine Optimization you would certainly know that backlinks from education websites are more powerful than regular websites. Why must you post comments to blogs and forums? Any good link building campaign should utilize all methods of link building possible, including blog commenting and forums posting. If the niche to the forum or topic is very closely related to your site, you should get some instant traffic. Why must you submit to Regional Country Directories? Regional directories or exclusive country directories is a growing phenomenon in the Internet world. Users seek local country directories to find business of their choice in their country. Regional directories may have the country extension, for eg. .us, .de or standard domain name extensions but these directories are exclusive for the country and accept only the websites from the country. Get your website listed in the regional directories and drive a new wave of local audience to your site. And to many more types of Directories......! And to many more types of Directories as shown above! A One-time fee for any amount of websites. Search Engines do not like any automated submissions or Unnatural backlinks to any site and consider automated links as spam. As such, our submitter is a semi-auto submitter and requires some manual effort on your part when submitting to every url. Without sweat there is no reward! Remember, there are no recurring fees with Backlink Submitter. You'll get Submitter software & tools with bonus gifts worth $147 included. $67 Remember to click RETURN TO MERCHANT after checkout to receive your download. Purchase BacklinkSubmitter and receive your files instantly after payment. You will receive the downloadable files and an activation code via email within 5 minutes, even if its 2am! Requirements This is a Windows Desktop Application and is not Mac compatible. This software application is Windows XP, Windows Vista, Windows 7 and Windows 8 compatible *Supports 32-bit and 64-bit versions. An active Internet connection is required in order to operate this application. Activation The download link will be served via an HTML webpage instantly upon order. After payment at Paypal, please return back to our site to activate your purchase by clicking the link at Paypal successful payment page. The file that is required to install this application is contained within a .zip file. You will need WinZip (free, link will be given) or any another file extractor in order to open it. Don't Miss this Great Product , Buy it for $67 NOW ! BacklinkSubmitter.com © copyright 2006-2013. all rights reserved.